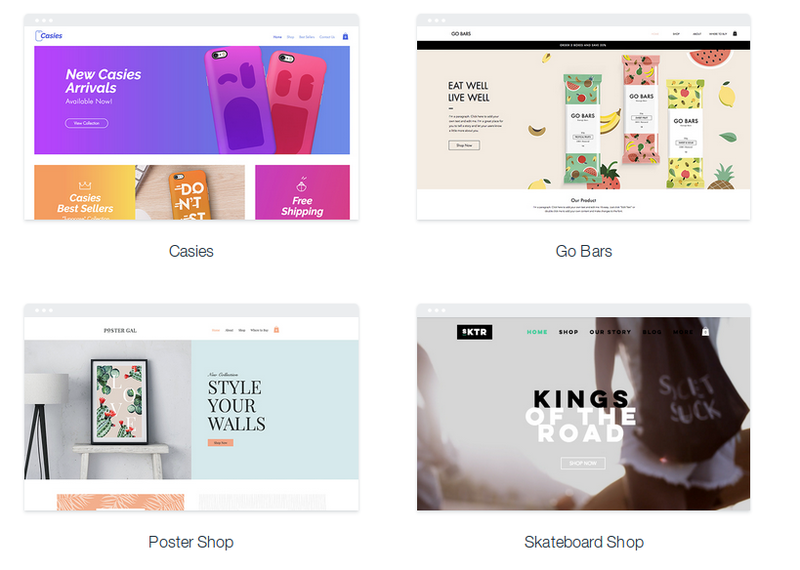 A lot of new retailers use Wix as a convenient and easy-to-use website builder to launch their online business. It’s an effective tool for creating a simple personal website with the help of a drag-and-drop tool that saves a handful of time and significantly cuts down upfront costs. However, it’s common situation when users outgrow their Wix platform. One of the major reasons is that Wix is initially designed for website building, not for running a fully-fledged online store. Further, in our Wix review, we will try to examine what causes this situation, discuss main pros and cons of Wix platform and find solutions for those who experience such issues. 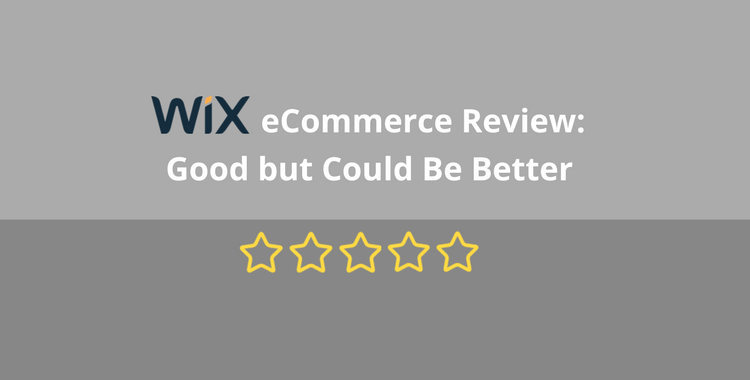 Wix eCommerce Review: What’s there for Store Owners? As we have mentioned Wix is one of the most widely used site builders. Due to its extremely user-friendly and intuitive backend a day to day administration is turned to a piece of cake for store owners. 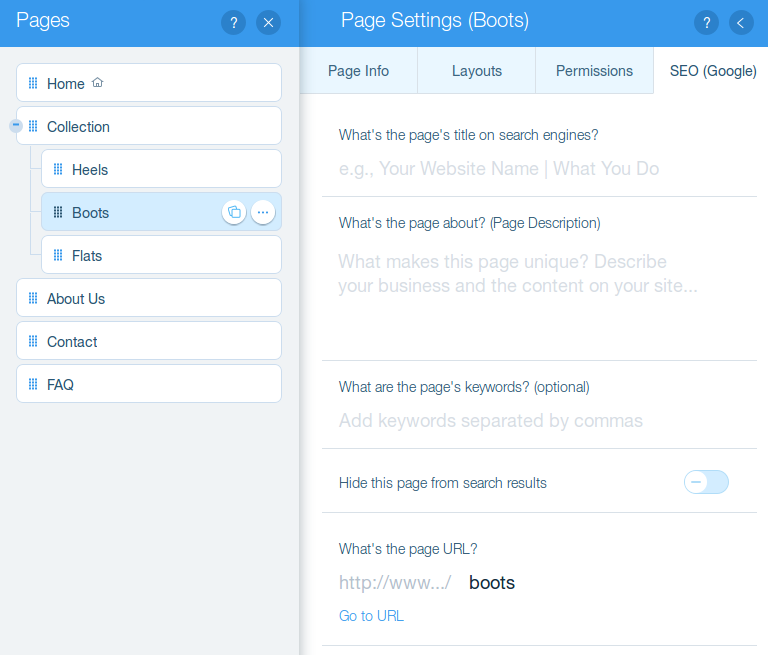 The platform also grants you with full control over a website structure and look. It’s possible to position various elements anywhere you like with the drop-n-drag tool and add content to them. This task can be performed with standard Wix Editor or with the assistance of Artificial Design Intelligence. If you get confused with initial website building procedure -- ADI will create a design draft for you with ease. Pay attention that, this solution works well only if Wix can collect enough information about the project from public sources, otherwise you’ll get poor results. One of the major advantages of using Wix is access to a wide selection of professionally-designed templates, which are available for free. They are tailored for varied industries, so they are likely to meet your business specific needs to the full extent. If you want to implement your creative ideas-- choose blank templates to develop your unique design from scratch. Unfortunately, Wix themes are not responsive and have to be optimized manually for smartphones and tablets with Wix Mobile View tool. Pay attention that Wix demonstrates rigidity when it comes to template change. You are free to choose from numerous premade themes and shift from one to another whenever you want, but there is no automatic content transfer between them. Thus you have to copy and paste manually your all your data like text, images, etc into a new template that can be particularly annoying for larger sized stores. The thing is that AJAX technology that supports drop and drag functionality is used to present content within Wix e-Commerce solution. However, search engine bots usually experience difficulties in crawling and indexing such websites to compare with more common HTML/CSS ones. In general, Wix provides good basic on-page SEO tools like customizable page titles, descriptions, alt texts for images, etc that allow for a website to rank well in Google search results. However, they remain insufficient for implementing complex marketing strategies for more professional stores. 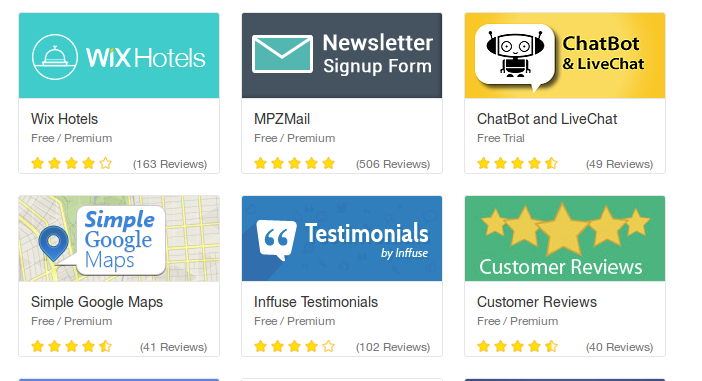 There is an official App Market where you can find various 3rd party extensions to bolt on extra features for your Wix store. However, a lot of apps are just Iframe solutions that don’t actually integrate additional functionality to your website. For example, adding Etsy app means adding just a window to the storefront where visitors can navigate your Etsy shop without leaving your Wix site. It's also reported that integration with Wix’s iFrame solutions may cause some accessibility issues and mess with your website analytics. As a result, you may end up with website malfunctioning problems and lack of features for Wix online shop development. Running a store using a Wix platform isn’t as cheap as it may seem at first glance.There is a free plan that is a perfect option for creating an initial website, but it doesn’t offer functionality for an online shop and Wix branding is obligatory. 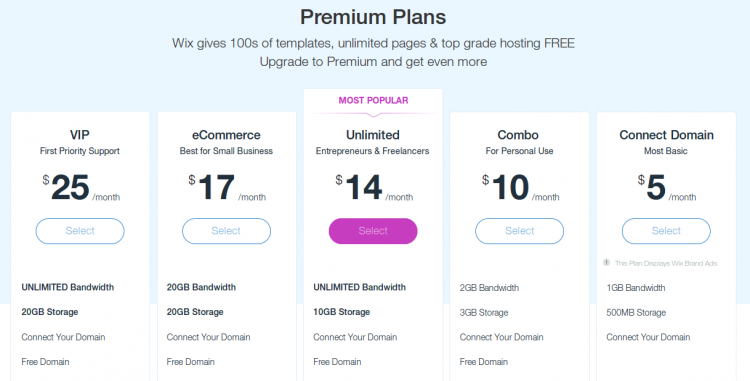 Wix e-Commerce pricing plan starts from $17 per month and allows to remove Wix ads and provide some useful apps for free. The cons is that bandwidth and storage place are limited to 20GB each. Bandwidth limitation is a significant drawback and can become a sticking point for your business. The reason is that every time after exceeding your bandwidth volume, you’d have to pay extra fees to keep an online store available for users. To get rid of this restriction users need to upgrade to the most expensive VIP plan for 25$ per month. It also includes a few handy apps, VIP support and one-time expert review of your website’s performance, but still it doesn’t allow unlimited storage place. If you look for some assistance, you can visit Wix Help Center to consult numerous tutorials, videos and step-by-step guides on various topics. It’s also advisable to check Recent Discussions section which is designed to act as a forum. Luckily you have a chance to contact Wix’s support directly by phone or submit a ticket by email. Keep in mind that call center works only Monday through Thursday from 6 am to 5 pm PST and you cannot count on them to help you out with urgent issues. In contrast, some many other e-Commerce solutions like can boast solid 24/7 support to provide assistance to its users. Moreover, Wix store owners frequently complain about the ineffectiveness of customer support and long response time. Wix has a core set of e-Commerce features including multiple payment options, coupons tax and shipment management, etc that are sufficient for managing small and mid-sized online stores. But, it has some functional restriction that can be particularly distressing for retailers. You can compensate the lack of e-Commerce built-in functionality with 3rd party apps, but if you are aimed at developing more professional website a lot of advanced tools may be simply out of reach. Wix has a number of pros and cons that have to be examined thoroughly to make a well-informed decision whether this platform meets your business needs to the full extent. Wix platform is considered to be a top-notch site builder that lets users with limited technical skills create fast and professionally-looking websites and landing pages. However, in terms of e-Commerce, Wix could be a restrictive choice, due to pretty basic e-retail features. Its functionality can be simply insufficient for building a highly lucrative online shop, to compare with an advanced set of features offered by other solution e.g. Shopify or BigCommerce, that keep their main focus on online retail and boosting your sales and income. Thus, to secure the best results for your business it’s recommended to think over shifting to more specialized platform. If wish to switch to something more scalable, you would find this task a bit problematic since Wix doesn’t support export function and all the data has to be transferred copy pasting. The whole process usually takes a pretty long time and requires a bit technical elbow grease. You can also opt to delegate this painstaking job to developer company and get your data moved qualitatively, but their services usually come at a steep price. Luckily Cart2Cart service has recently added Wix to its list of supported platforms and can transform your migration journey into a simple and hassle-free procedure. This automated tool helps to avoid manual data input, messing with a code as well as hiring expensive freelancers. Moreover, you can launch your data migration and continue to sell products with no harm to your revenue while your store undergoes a major overhaul. For instance, you can shift your data including products, variants, images, categories, etc swiftly and qualitatively to one of the popular solutions like Shopify or Bigcommerce, that are also hosted platforms specifically designed for users who are seeking to build a website in an uncomplicated way. To see how the service works -- try out an absolutely FREE Demo migration and move a limited number of entities to your live store in no more than 30 minutes. You can also rely on Cart2Cart’s 24/7 professional support team that will readily answer your questions and provide incomparable migration experience.